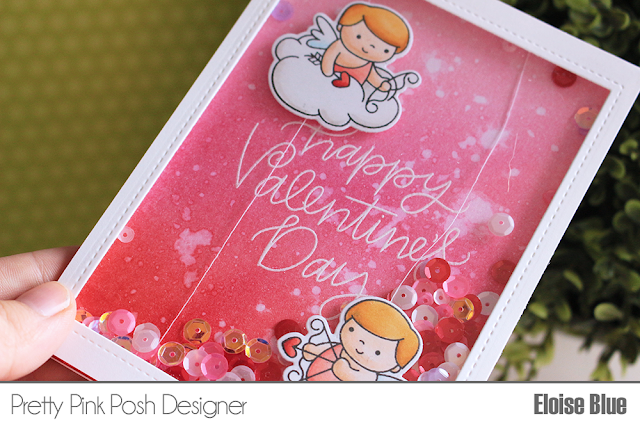 Hi everyone, today I'm over on the Pretty Pink Posh YouTube channel and blog using the new Cupid Friends stamp set to create two styles of shaker cards. I'll also be using the new Love Shaker dies as well as some new confetti mixes for my cards today. The first card, was a full shaker card with floating Cupid images inside. The second card I made was a regular shaker card, although it goes through to the inside of the card. Go check by the blog post to read more information about how I made these cards. The video is also linked down below.